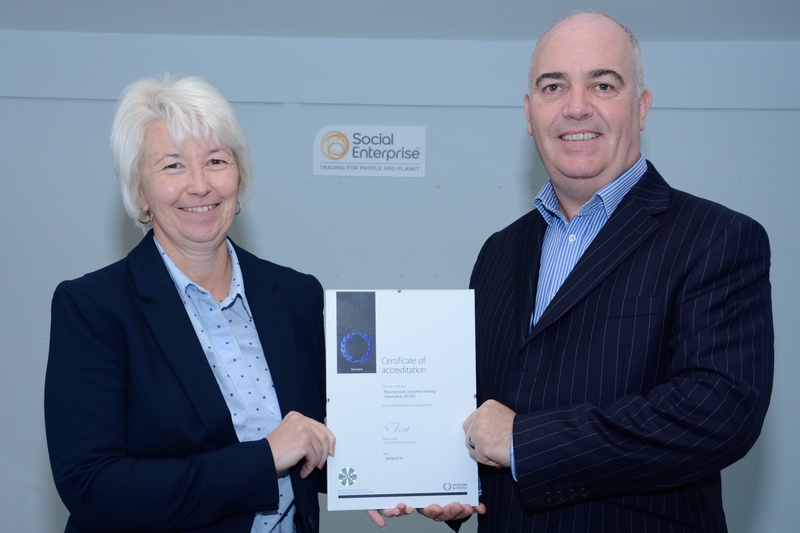 The New Leaf Company is a Social Enterprise arm of BCHA. 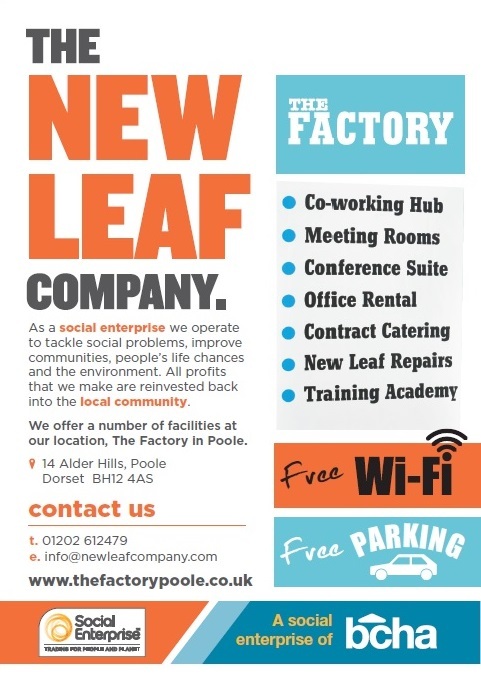 This means that, unlike commercial operations, all the profits made by The New Leaf Company are reinvested back into the community to improve the lives and the environment of local people living and working in Bournemouth and Poole. The New Leaf Company is also a service provider, and we have New Leaf Repairs and Maintenance team who employ around 35 people to carry out repairs and maintenance, cleaning and gardening of the BCHA residential properties. 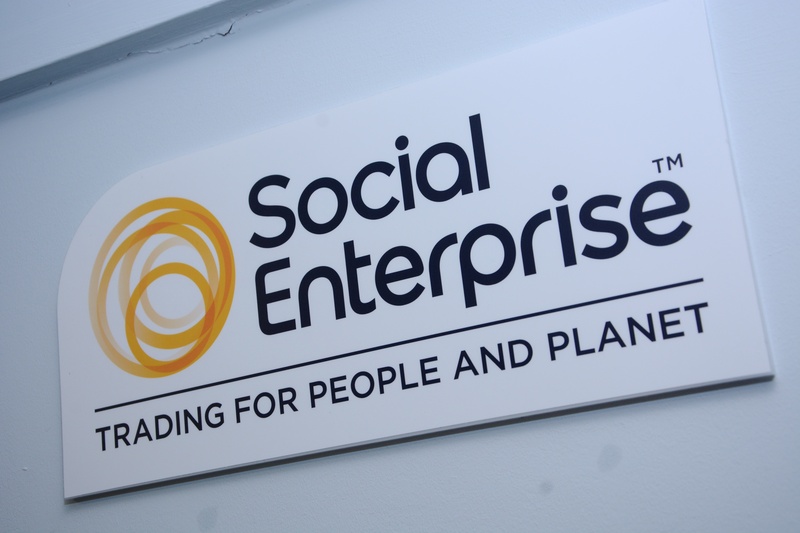 The Factory in Alder Hills is both the headquarters and part of The New Leaf Company, the social enterprise arm of BCHA, which is a specialist housing organisation, helping homeless and vulnerable people access the right housing, health, learning and work opportunities. Founded in 1968, BCHA supports over 10,000 people every year to take control of their lives and equips them to find a way. Although based in Bournemouth, it currently delivers services across the South West from Plymouth to Reading. The Factory was a former Remploy Factory and has risen from the ashes since it was purchased by BCHA, with the generous support of the Dorset LEP and Talbot Trust, and officially opened in November 2015 as a Social Enterprise, with all our profits reinvested back into the community to improve the lives and the environment of local people living and working in Bournemouth and Poole. The Factory has created the space to provide more opportunities to people that need it the most. In 2015 we created 14 new jobs as a result of opening The Factory. Since then we have supported 200 more people into education, work or training. In the past year, we have created an environment for businesses to grow, resulting in more local job opportunities. A range of local businesses now rent space at The Factory, tailor-made to suit their needs at very competitive rates.